Philadelphia, PA – Comcast NBCUniversal LIFT Labs Accelerator, powered by Techstars, is now accepting applications for its second class. Founders from around the world developing the next generation of connectivity, media and entertainment companies are encouraged to apply now through April 7 for this year’s program. The class will begin on July 15, 2019. 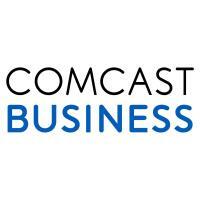 The program culminated in Demo Day on Oct. 11, 2018 in Philadelphia, where it was announced that 70 percent of the companies secured partnerships with Comcast NBCUniversal businesses during their time in the accelerator. Comcast has a long history of supporting startup communities, and LIFT Labs is just one of the many ways in which entrepreneurs can gain valuable access and insights to Comcast NBCUniversal. Comcast launched its first venture arm in 1999, and in 2010, Comcast Ventures was formed and has since grown into one of the most active corporate venture arms in the country. LIFT Labs offers programmed talks, mentor sessions with Comcast NBCUniversal employees and partners, plus events and other educational resources designed to help entrepreneurs launch and grow their businesses. For more information, including access to free resources, visit www.ComcastNBCULIFT.com or follow @LIFT_Labs on Twitter.